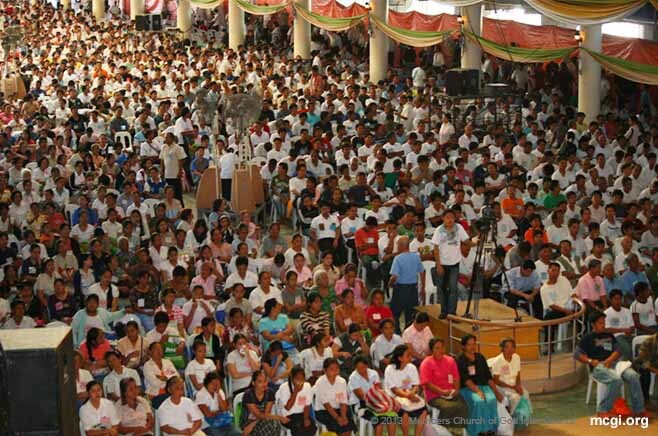 MCGI welcomed more than 3,500 new members in the Church after the Mass Baptism of February 2011. Pampanga, Philippines — More than 3,500 souls were added to the Members Church of God International today in a Mass Baptism held at the ADD Convention Center in Apalit, Pampanga and in MCGI coordinating centers nationwide. People hailing from as far as Nueva Ecija (approximately 118 kilometers from Manila) went to the Philippine headquarters of MCGI to be baptized. Moreover, baptisms were held at major coordinating centers in Northern Luzon, Bicol, Visayas and Mindanao. Included in the thousands of new members are five individuals with hearing and speaking disabilities, adding to the first group of deaf-mute members baptized on August 21, 2009. This was the result of the seven-session Mass Indoctrination by Church Presiding Minister, Bro. Eliseo Soriano. From about a month of indoctrination time, Bro. Eli was able to reduce it to less than two weeks leading to a Mass Baptism just eleven days after the first session. The results, however, exceed double as previous Mass Baptisms yield more than 1,000 souls on the average. 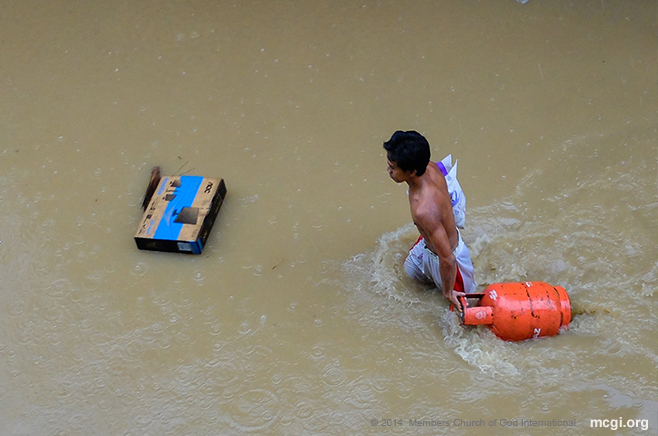 “Let us start a new life, brethren, a new life in Christ, full of hope,” says Bro. Eli as he spoke before thousands of newly-baptized members via live video streaming at about six in the evening. Bro. Eli then reminds the brethren of what Bro. Daniel Razon, the Church Vice-Presiding Minister, said in his sermon prior to Bro. Eli’s — to first give thanks to God, just as the Samaritan who was healed of his leprosy did in Luke 17:12-19. They were talking of the Thanksgiving ceremony held every Saturday in the Philippines. Weekly, groups and individuals offer songs of praises on stage before the entire congregation in the Convention Center in Pampanga and in coordinating centers worldwide via the Internet.